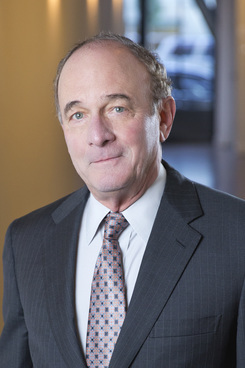 Since founding the firm with law school classmate Bill Brockett in 1978, John Keker has built a reputation as one of the country's top trial lawyers. Four decades of jury trials in white collar criminal cases, complex commercial and intellectual property cases, antitrust and securities cases, establish him as the lawyer clients turn to for their most important and high-profile litigation problems. The American Lawyer described him as “a giant of the IP trial bar.” The California Lawyer said he was “the lawyer other attorneys would turn to if they were in trouble.” The San Francisco Chronicle called him “the Number One Lawyer in the Bay Area,” and the California State Bar inducted him into its “Litigation Hall of Fame.” The National Law Journal named him as one of the “Top 100 Most Influential Lawyers in the United States.” Honors: Litigation Trial Lawyers (Star Individual); Litigation: General Commercial (Star Individual), Litigation: White-Collar Crime & Government Investigations (Star Individual), Chambers, 2016 Top Plaintiff's Verdict by Dollar, The Daily Journal, 2016. On behalf of the San Diego County Water Authority, we won more than $230 million in damages and prejudgment interest against Metropolitan Water District of Southern California. The ruling will save San Diego water customers as much as $2 billion over the next several years. Elite Trial Lawyer, The National Law Journal, 2015 White Collar Crime Trailblazer, The National Law Journal, 2015 Litigation Pioneer and Trailblazer, The National Law Journal, 2014 100 Most Influential Lawyers in the United States, The National Law Journal, 2006 - present White Collar Criminal Defense Award, NACDL, 2014 Leading Trial Lawyer (Tier 1) and recommended for White Collar Defense Litigation, The Legal 500, 2012-2015 Bet-the-Company Litigator of the Year, Best Lawyers in America, 2012, 2014 BTI Client Service All-Star, 2013, 2014 San Francisco Intellectual Property Lawyer of the Year, Best Lawyers in America, 2012 Lawyer of the Year, White Collar Criminal Defense, Best Lawyers in America, 2010 Top 100 Lawyers, Daily Journal, 1998-present Business Trial Lawyer of the Year, Chambers USA, 2007 Number One Lawyer in the Bay Area, San Francisco Chronicle, 2003 California State Bar’s Litigation Hall of Fame, 2002 Significant Contribution to Criminal Justice Award, California Attorneys for Criminal Justice, 1996. Professional Affiliations: Fellow, American College of Trial Lawyers Fellow, International Academy of Trial Lawyers Vice Chair, Presidio Trust Board of Directors Member, Council on Foreign Relations Member, Pacific Council on International Policy American Board of Trial Advocates American Bar Foundation Chairman, Mayor’s Summit on Crime, 2002 President, San Francisco Police Commission, 1996-1997,1991-1992; Vice president, 1989-1990 Vice president, San Francisco Fire Commission, 1988-1989 Chairman, San Francisco Bay Water Quality Control Board, 1981-1983.